Remember that creepy, anti-Obamacare Uncle Sam ad? Well, the results are in, and it probably didn't work. In fact, according to an analysis from the Brookings Institution, the $450 million spent on ads to fight the Affordable Care Act seem to have had the exact opposite of their intended effect. Brookings Fellow Niam Yaraghi argues there's a "positive association between the anti-ACA spending and ACA enrollment," based on new figures from nonpartisan media analysts. It seems enrollment surged in the states where anti-Obamacare ad spending, per capita, was greatest. "This implies that anti-ACA ads may unintentionally increase the public awareness about the existence of a governmentally subsidized service and its benefits for the uninsured." Oops? The most infamous ad was the one called Opt Out, in which a young woman visits her gynecologist only to discover Barack Obama has replaced her doctor with an evil-looking Uncle Sam. "Opt out of Obamacare," the screen says as Uncle Sam glares. The group Generation Opportunity, backed by the Koch brothers, created the Uncle Sam videos as part of a $750,000 anti-ACA effort. Anti-Obamacare campaigns like these dwarfed support for the program, shelling out 15 times more on advertising, Yaraghi says. Plenty of studies have purported to show that negative ads in politics work to change public opinion. Politicians must believe it because they keep using them. But some have suggested the ways of public opinion are more complicated than that. Columbia University political scientist Donald Green has said attack ads only work in the short term; they leave an impression, but by the time a voter gets to the booth, the impression leaves. Yaraghi's analysis merely shows correlation. In addition to raising awareness, he speculates the negative ads led people to believe Congress would repeal ACA. "People who believe that subsidized health insurance may soon disappear could have a greater willingness to take advantage of this one time opportunity," he writes. Perhaps what this Brookings report also shows is that people make their health choices independent of their politics. 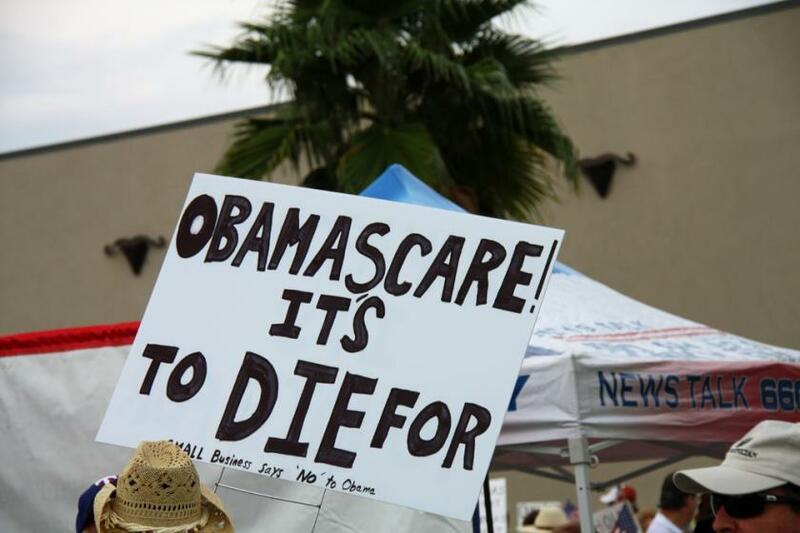 The political will of a state and the healthcare situation of its residents are not the same thing. Of the more than 8 million people who signed up for Obamacare through their state health exchanges, red states including Virginia, North Carolina and Idaho yielded some of the highest rates of enrollment. Surely there were more than a few Republicans with pre-existing conditions who hopped online to register.